Our goal and motivation is racing at its best. 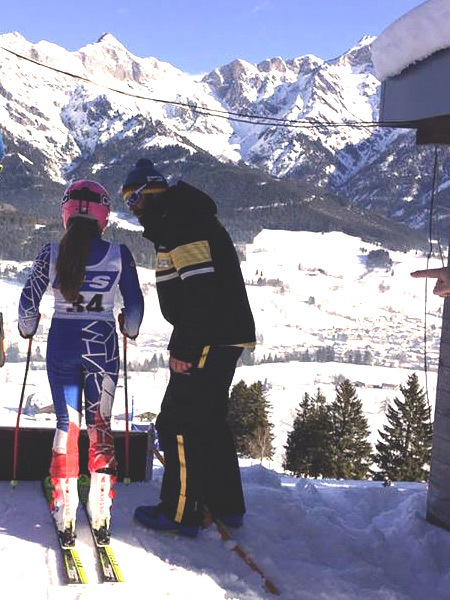 We want to give our athletes the best training possibilities, so they can improve their skills continually. 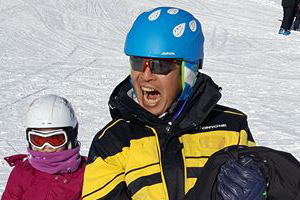 Head coach Robert Schlaucher worked five years for the Tyrolean ski federation, where he mainly was responsible for the young racers. He gained his training experience also with stays in Japan and Australia. 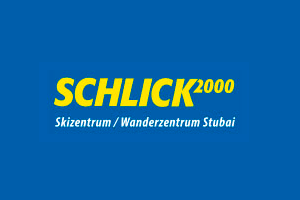 Schlick 2000 or Serlesbahnen Mieders ski resorts, depending on what training we want to do and what conditions we want to have. 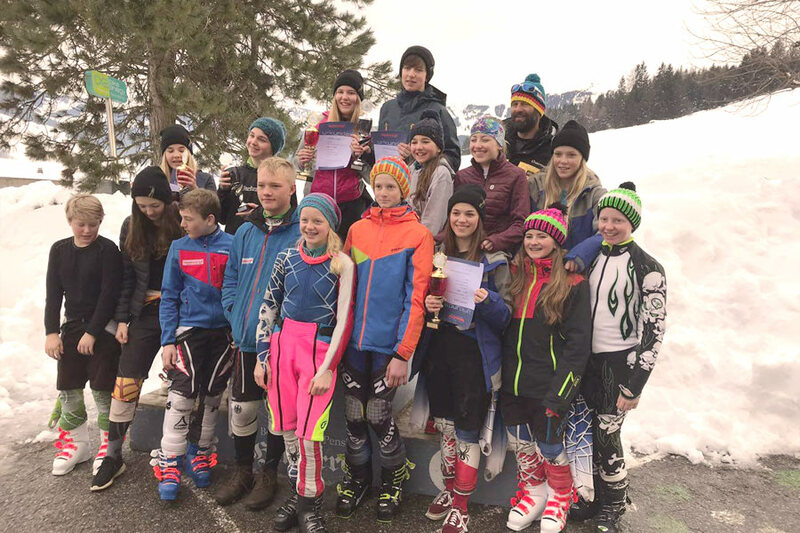 Also snowboard racers are highly welcome: Laura Lovasz, who had been racing in the snowboard world championship, knows exactly how to get into the world‘s top position. Our trainings start early in the morning. The coaches take one of the first lift rides to prepare everything for the training, like putting up the slalom, giant slalom or super G.
After a couple of warm up runs, where we definitely focus on your technique, we start with the gate training. You will receive feedback after every run from your coach. 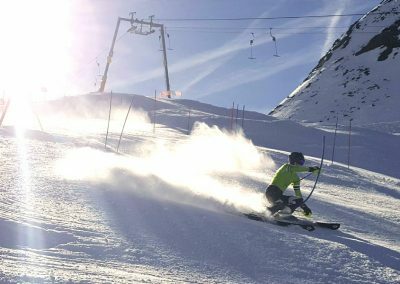 Video analysis will also help us to explain the difficult parts of skiing to you. Depending on your training schedule, we will focus in the afternoon on the regeneration or physical education. 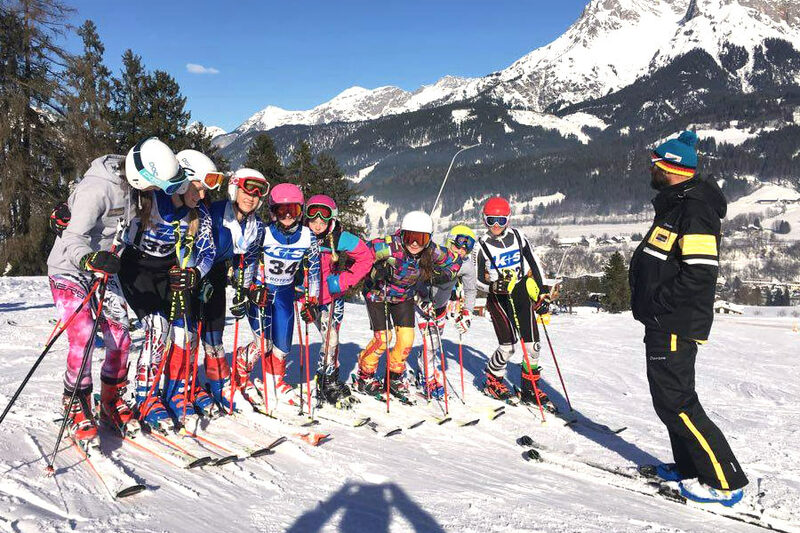 With Alpin Racing Neustift quality always comes first – therefore we train never more than seven people per group. That is the only way how you really can get faster to the top. 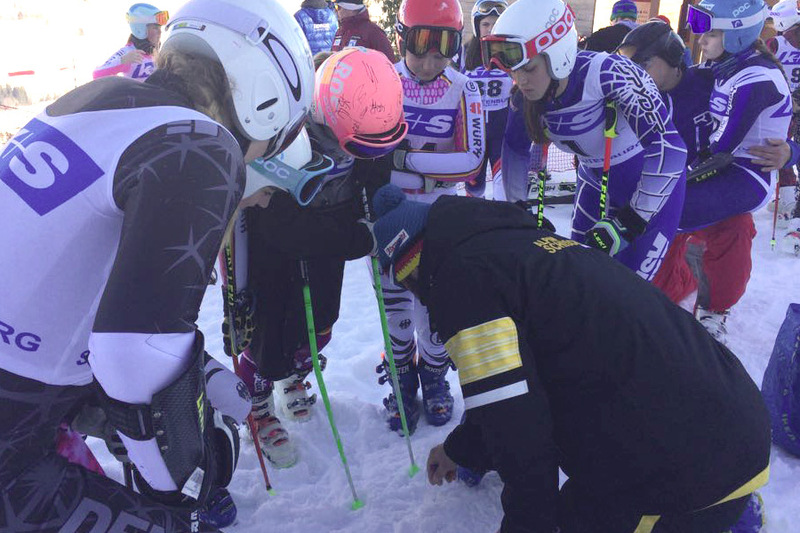 Gate training is essential to become a racer, but another focus of our coaches is the technique training while free skiing. 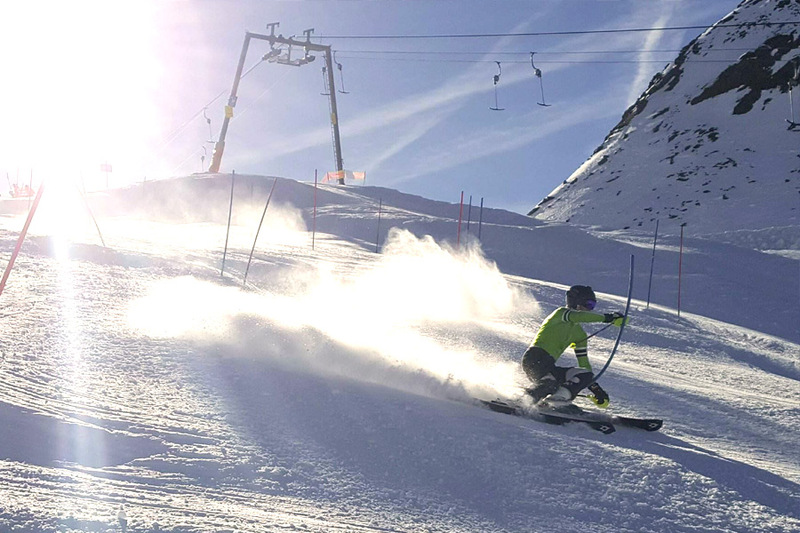 The simple reason for that: you need a good skiing position before you are able to adapt your movements to the gates. 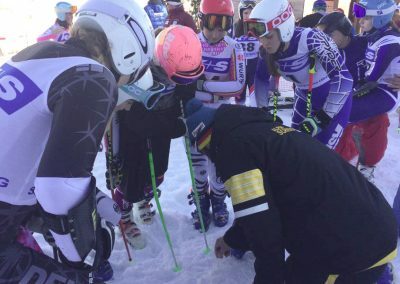 Step by step, that‘s also with skiing the only way to get to the elite. Weekends and holidays. Please contact us for further informations. You can work with our coaches also one on one to get the best improvement out of your time. 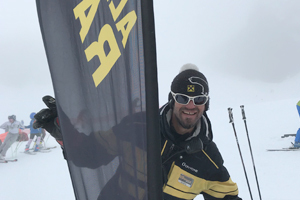 The big advantage of private trainings is that your trainer can focus only on you: therefore he has the time to make an adequate analysis of your skiing mistakes. And there will be plenty of time left to get rid of them. This is the way to go, especially when you plan to do technique trainings. 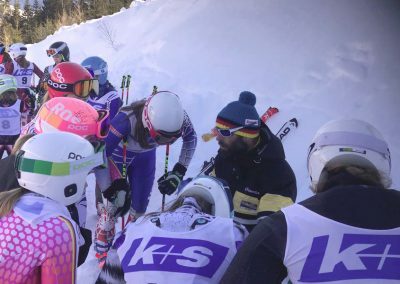 In ski racing especially the small things can make a decisive difference. Therefore the Alpin Racing Team also supports you on race days. 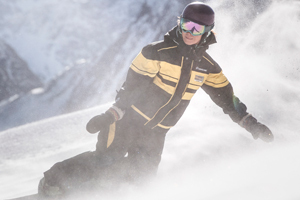 We will inspect the course with you and make sure that you will ride the fastest line. 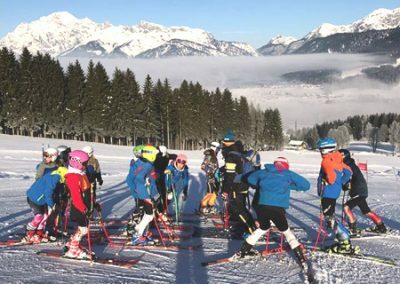 The coach also helps to bring the equipment to the start, he‘ll motivate you to your full potential and he‘ll also get the last information about the course. After the race is before the next race. Thus, our trainer will analyse your race performance in depth. He also will reflect with you on the whole race day: what is stopping you to be in the lead? And which things will lead you to success? We‘ll answer that! 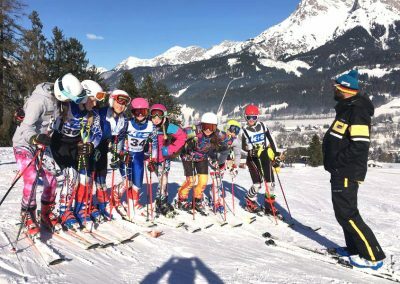 Without fitness there is no performance in ski racing. 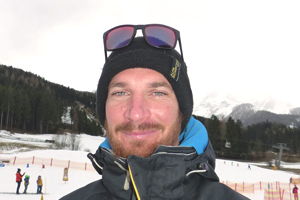 Hence, we closely collaborate with Mario Grötschel, one of our trainers who studied sport at university with a focus on skiing. He is the man if you want to improve your physical shape or if you want suggestions for your fitness training. Mario can also develop an individual training plan with benchmarks to test your efforts. • Please note that participation in our race courses DOES NOT include any insurance for accidents, injuries or mountain rescue operations. 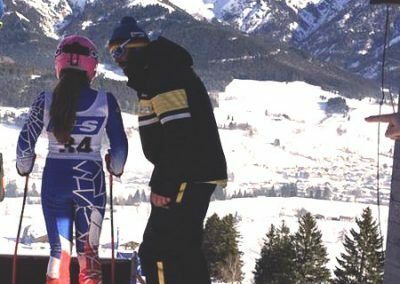 Before the first race training ask your insurance company if they cover the special risks of ski racing. 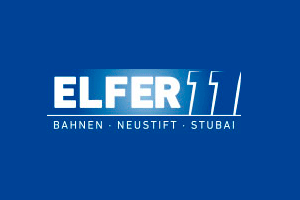 • All rates are without lift pass and without accommodation. Accommodation can be organized, please tell us early in advance. 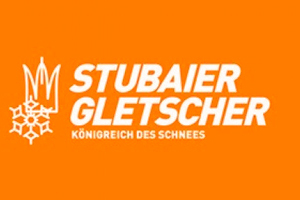 • Changes due to bad weather or snow conditions possible. 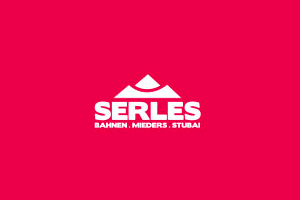 The safety of our trainings has always priority. 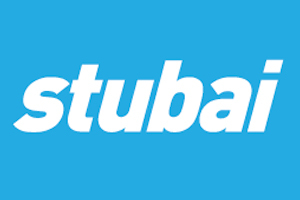 • No liability for damages.